On the surface, the two shooting rampages appear quite different: Omar Mateen, who killed 49 people at a gay night club in Orlando, was the son of Afghan immigrants, reportedly consumed by homophobia and inspired by ISIS. By contrast, Micah Johnson, who fatally shot five police officers in Dallas last week, was an African-American Army vet, apparently enraged by the police killings of black men. But despite their unique circumstances and motivations, both massacres bear the hallmarks of “lone wolf attacks.” Both Mateen and Johnson appear to have been motivated by a mixture of political and personal grievance. Both drew some of their radicalization online. In both cases, people around them had worried about their mental health. And law enforcement officials have not identified any accomplices, indicating that both men plotted the attack on their own, without direction from or coordination with others. Both sets of researchers say it’s dangerous to try to make sweeping generalizations about lone wolves. “We may want to put these guys into a neat little box and wrap a ribbon around it, but that is not reality,” said Mark Hamm, a criminologist at Indiana State University. He, along with Ramon Spaaij, a sociologist at Victoria University, built one of the DOJ-funded databases and will be publishing the data in the forthcoming book, The Age of Lone Wolf Terrorism: A New History. 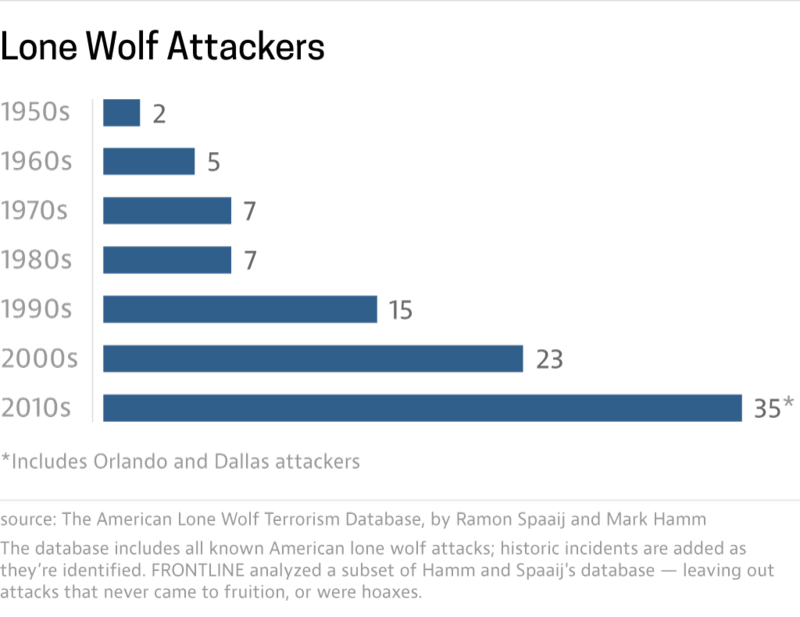 They’ve identified 124 lone wolf attackers in the U.S. since 1940 — though that figure includes about 30 cases that were FBI stings, hoaxes or plots that were foiled before they could be pulled off. Similarly, researcher Paul Gill of University College of London, who compiled a database of more than 100 lone wolf attacks in Europe and the U.S. since 1990, has said trying to draw a single personality profile of a lone wolf attacker is as clunky as trying to draw a profile of a generic criminal: “What interests arsonists and influences them is very different than sexual offenders is very different than burglars,” he said in a 2015 lecture. Likewise, he said, there may be differences in the psychological profiles of far-right extremists, ISIS sympathizers and “single-issue” radicals motivated by one political end, like environmentalism or abortion. But even with these limitations, the research has highlighted several trends: Lone wolf attackers are rarely motivated by politics alone — personal grievances are usually central to their drive. They are far more likely to have a documented mental health history than their counterparts who engage in political violence as part of a group. On the whole, lone wolves have more in common with apolitical mass murderers than with members of organized terrorist cells. And despite the small numbers overall, there are more lone wolf attacks today than there ever have been. 1. Lone wolf attacks are nothing new — but they are becoming more common. In 1940, disgruntled former Con Edison employee George Metesky began planting pipe bombs around New York City. Before he was captured 16 years later, he would plant 33 of them and injure eight people. Metesky is the earliest attacker listed in the database built by Hamm and Spaaij. The database regularly expands, as they add old incidents they uncover and new ones as they occur. They have just added both Johnson and Mateen, bringing their count to 124 American lone wolves. Their definition of a lone wolf is narrow: To be included, the perpetrator must be politically motivated — leaving out mass shooters such as Adam Lanza, whose motive appeared to be entirely personal — and they must act entirely on their own — which excludes cases like the 2015 San Bernardino, Calif. attackers, who acted as a couple. 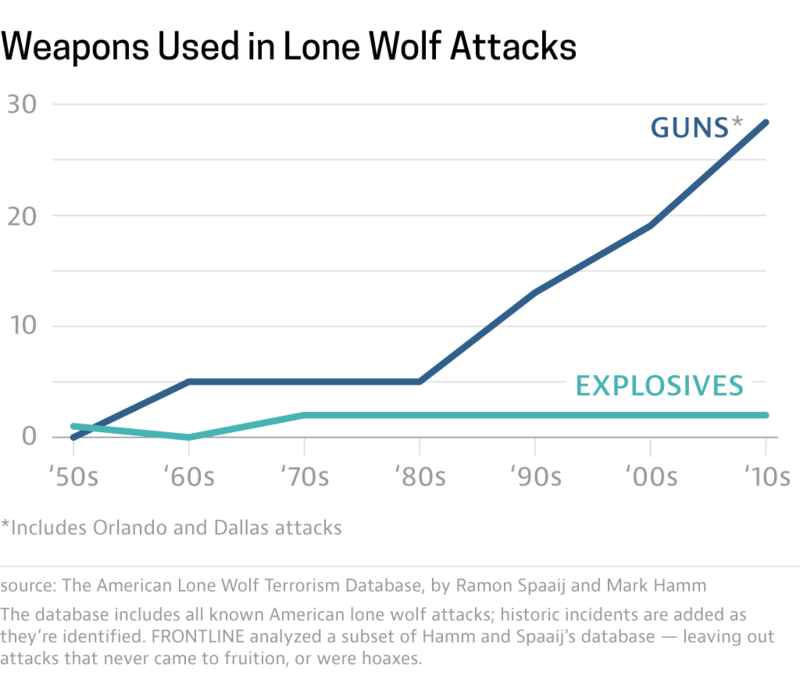 Although the records of these attacks in early years are spotty, what researchers are able to gather shows that in the seven-and-a-half decades since Metesky began planting bombs around New York, the number of lone wolf attacks has steadily increased. Their effectiveness has varied. The most injuries were caused by Eric Rudolph’s bombing of the Atlanta Olympics in 1996, which killed three and wounded 117. Rudolph later said he was motivated by his anti-abortion views. The most lethal solo actor was Joseph Paul Franklin, who killed 18 and wounded five between 1976 and 1980 as part of a campaign against African Americans and Jews. Franklin’s violent record will be busted by Mateen if investigators conclude that he acted alone in the Orlando attack, that killed 49. So far, officials have not implicated any accomplices. But even without adding his massacre to the toll — or that of Micah Johnson in Dallas — the 2010s has already surpassed every decade in the number of both attacks and fatalities perpetrated by lone wolf attackers. 2. White supremacy remains the chief inspiration of lone wolves. But jihadi attacks are fast rising. From Byron de La Beckwith’s assassination of civil rights champion Medgar Evers in 1963, to Dylann Roof’s 2015 massacre of nine African Americans in a church in Charleston, S.C., white supremacy has been the chief political motivation of modern lone wolf terror in the U.S. Other right-wing extremists have come in a close second. Attacks inspired by anti-government sentiments have spiked since President Obama took office. Extreme left-wing views have also inspired occasional violent attacks by solo-actors. The phenomenon of lone wolf attacks by radical jihadis can be traced to the late 1990s when Al Qaeda affiliated writer and strategist Abu Musab Al-Suri began advocating within the organization for the decentralization of the jihadi cause, according to counterterrorism researcher Raffaello Pantucci, director of International Security Studies at the Royal United Services Institute in London. In late 2004, Al-Suri’s 1,600-page manifesto, “The Global Islamic Resistance Call,” laid out his vision: A leaderless jihad, with individuals or small cells around the world acting independently, united only by a common ideology. 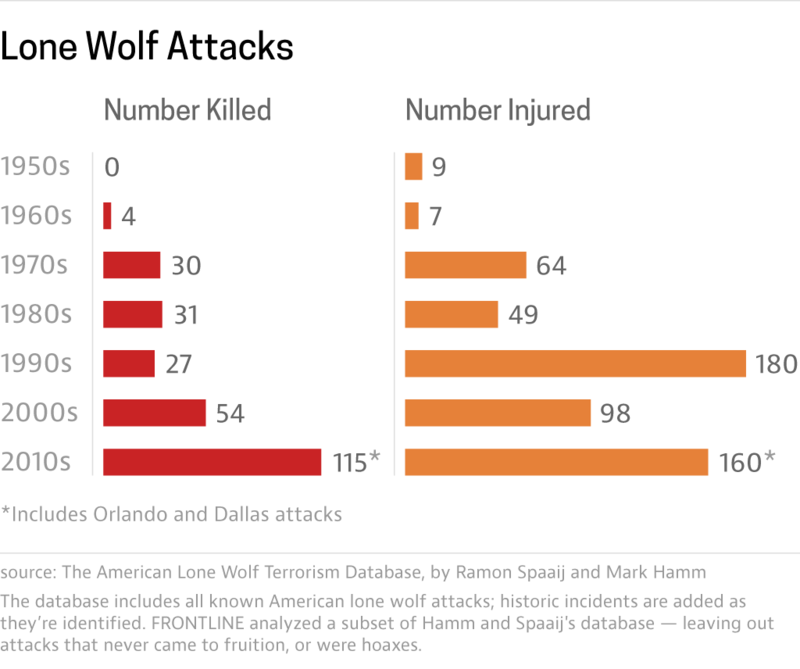 The tactic has borne some success: Al Qaeda- and ISIS-inspired lone wolf attacks in the U.S. numbered 20 so far this decade, up from eight in the 2000s, according to Hamm and Spaaij’s database. 3. Lone wolves are different from conventional terrorists. Over the last 75 years, lone wolf attacks have predominantly been carried out by unemployed, single white males with a criminal record. 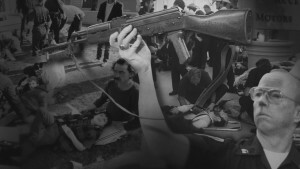 Compared to their counterparts who commit violence as part of a political organization, they are generally older and less educated, according to Hamm and Spaaij. They are also much more prone to mental illness. More than 40 percent of attacks in their database were perpetrated by people with diagnosed mental illness. One study by Gill found that lone actor attackers were 13.5 times more likely to have a mental illness than a member of an organization engaged in political violence. Some social psychologists believe that groups screen out people with serious mental disorders because the organizations rely on teamwork and reliability. Solo attackers do not require the cooperation of others. Gill has warned against trying to draw a single profile of a lone wolf attacker. In his research into lone actors in the U.S. and Europe, he found that compared to far-right attackers, those inspired by Al Qaeda and ISIS tended to be younger and better educated. But Gill’s most recent study, funded by the National Institute of Justice and slated to be published this summer, suggests another phenomenon: Lone wolf attackers have much more in common with mass murderers — people without apparent political motive — than they do with members of terrorist groups. For the study, Gill collected data on mass murderers, which they defined as individuals who killed four or more people in a 24-hour period. The study captured apolitical actors whose grievances were personal, such as cases of workplace or domestic homicides, or school shooters. To his surprise, when he analyzed the profiles of the perpetrators, they were nearly indistinguishable from politically motivated lone actors. Of the variables they tested, the only major difference was that mass murderers were statistically more likely to conduct their violence in a place they had frequented before, whereas politically motivated lone actors were more likely to go to an unknown location. 4. Guns have become the weapon of choice for lone wolves. An array of weapons has been employed in lone wolf attacks: A pen-knife was used in an attempted assassination of Martin Luther King, Jr. in 1958; anthrax was mailed to politicians and members of the media in 2001; a hatchet was wielded against four New York police officers in 2014. The chosen target of attackers has also shifted: About a dozen law enforcement officers were killed or wounded by lone wolf attackers between 1940 and 2008 — nearly all those attacks were motivated by the black power movement, anger over U.S. policy in the Middle East and abortion. Obama’s election in 2008 brought a new trend: More than two dozen law enforcement officers have been attacked by people “motivated by anti-government and white supremacy anger over the election of the nation’s first African American president,” according to Hamm and Spaaij. Since Sept. 11, U.S. military members have also become a target: In one study, Hamm and Spaaij could not find a single case of a military member targeted by lone wolf attackers before the 2001 attacks. But in the years between then and 2011, attackers killed or wounded 47 members of the military — and all but one of those attacks were carried out by people who claimed sympathies with Al Qaeda and who were angry about the wars in Afghanistan and Iraq. This played out most lethally in 2009 when U.S. Army psychiatrist Major Nadal Hasan rampaged his workplace in Fort Hood, Texas, killing 13 and wounding 30. 5. They have usually told someone about their plans. Lone wolves, by definition, act alone. But that doesn’t mean they alone know of their plans: According to Hamm and Spaaij, 84 percent of attackers from the pre-9/11 era had broadcast their intent to strike. Since 9/11, the rate has been about 76 percent. These disclosures have been made on social media, to friends and family, in online communities or in letters or emails. Even the Unabomber, Ted Kaczynski, a famed loner, proclaimed his motives and intentions in a manifesto he mailed to The New York Times. “There are a number of interaction points throughout the process where these lone wolves either leak or deliberately broadcast their intent to kill a lot of people,” said Spaaij. Such searches raise civil liberties concerns: Finding useful intelligence would require substantial domestic surveillance, said Pantucci. “The problem is if you start going too far down this path, you start to say, ‘Well we need to live in a completely surveillance society and we all need to report everyone to everyone.’ Is that really the kind of society that we want to live in?” he said. 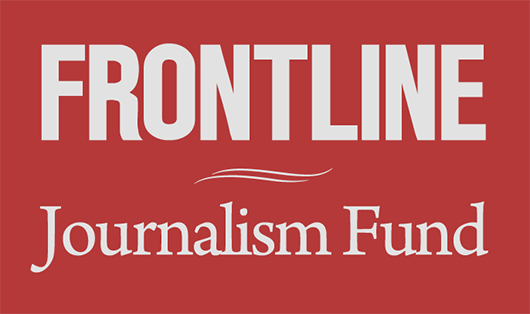 Eli Burnes and Patrick Torphy contributed reporting. Correction: An earlier version of this story misspelled the name of the Charleston, S.C., attacker.